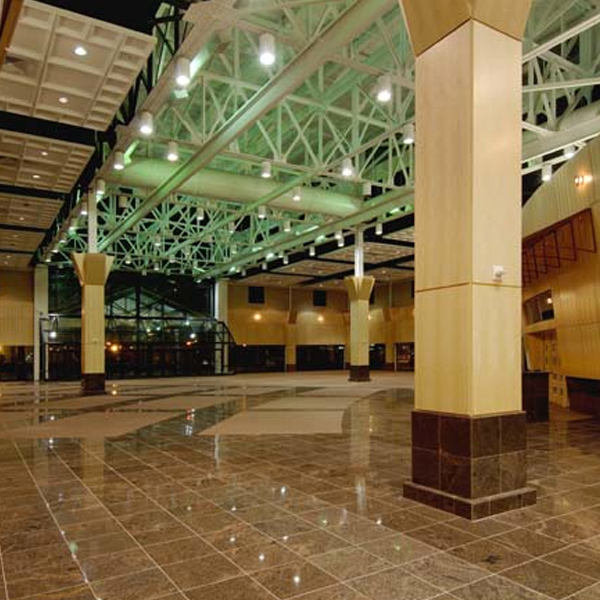 From a porte-cochere entrance, this 11,000-square-foot lobby is a dramatic, expansive space that welcomes guests to the Chase Center. 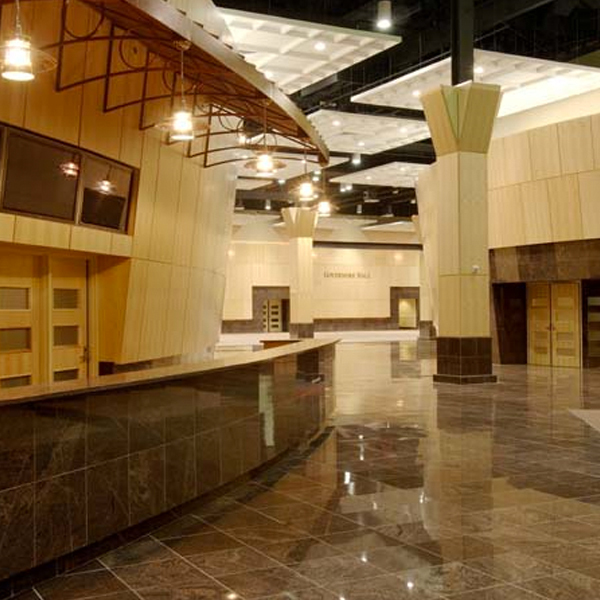 With natural lighting from exterior glass walls and enormous curved maple walls that flow into open spaces providing ample common space for guest registration and gathering space. 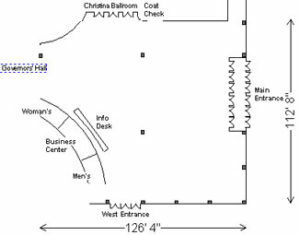 Located in the Lobby is a large information desk with business center, coat check, restrooms and modern lounging furniture.